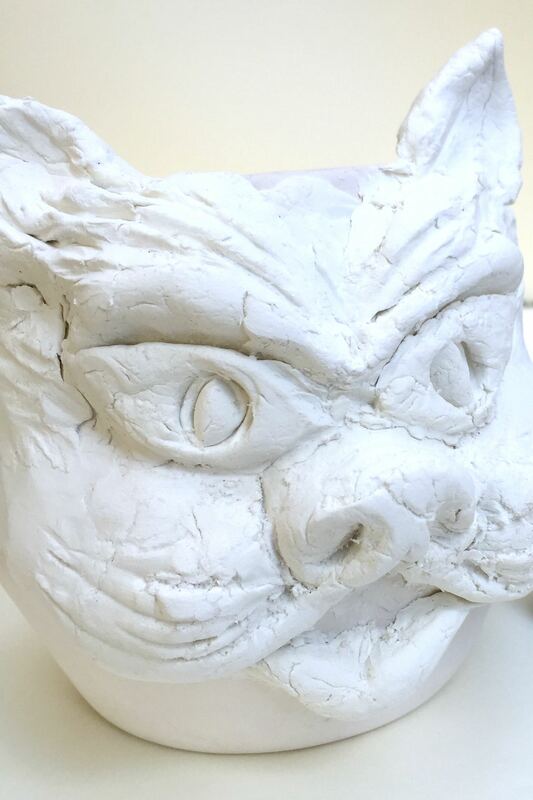 Working with air dry clay can be scary, but not the kind of scary you are thinking. A Halloween themed air dry clay planter is super EASY to make but can be as scary (or cute) looking as you want it to be. 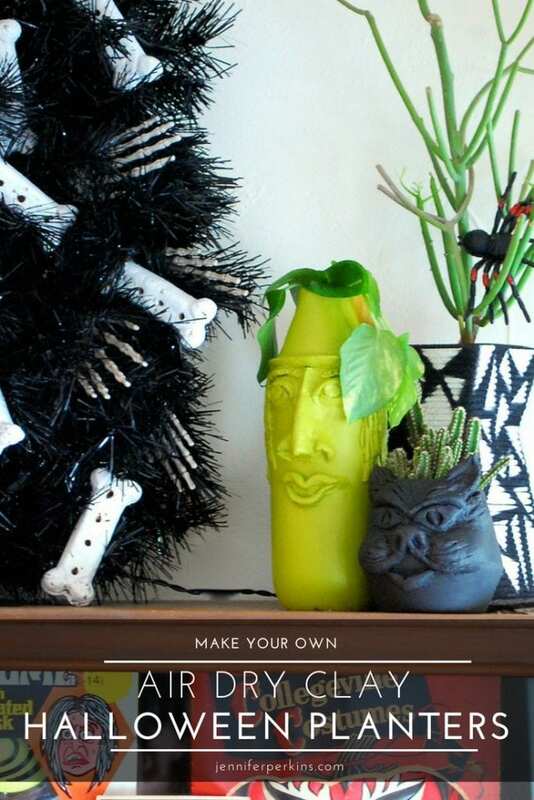 Ready made vases and jars act as a base for these DIY clay planters – all you need is to do is choose between a witch, black cat or owl to sculpt. Scratch that – this clay planter project is so easy you don’t need to choose, make all 3! 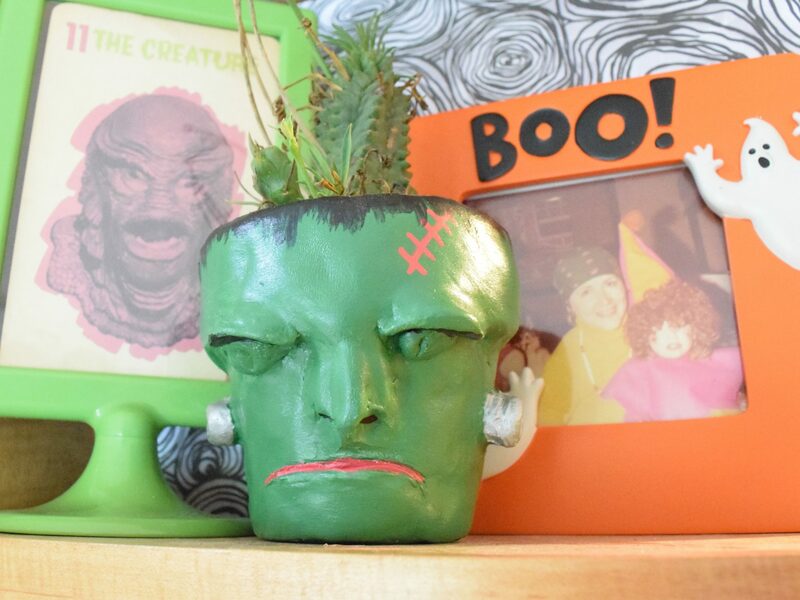 Besides the obvious, crafting is fun answer – why would you make DIY Halloween planters? Well for me it is hard to find a spot for my houseplants when decorating for holidays. The pots that you’re plants currently reside in are probably not all that spooky. If you are going to give your entire house a holiday vibe, why stop with your plants? 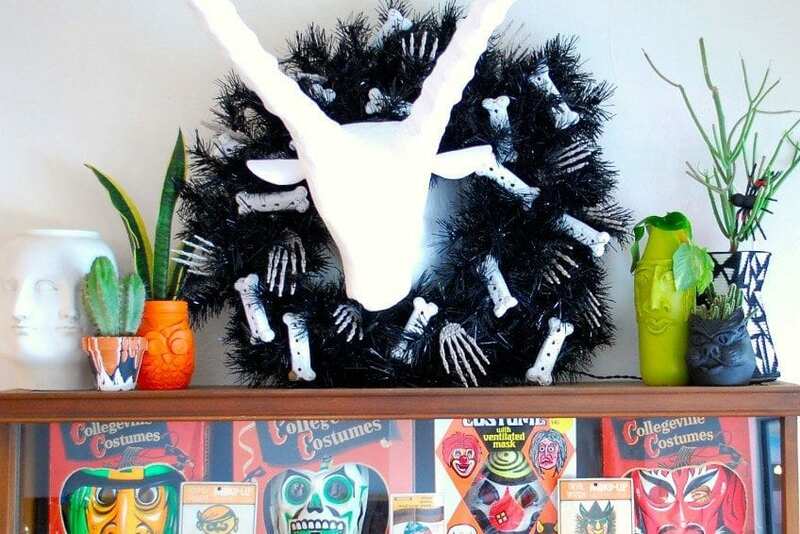 Leave no square inch un-Halloweened, including your house plants. 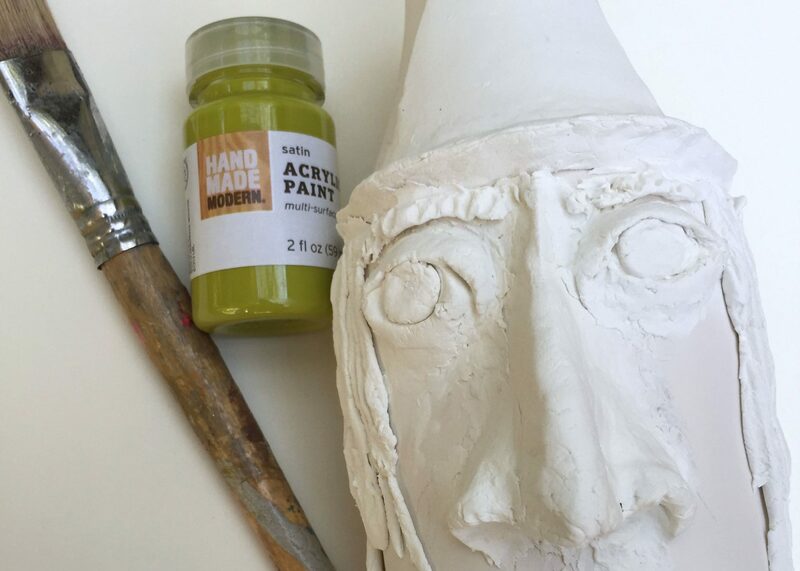 Air dry clay is really easy to work with and quite forgiving. 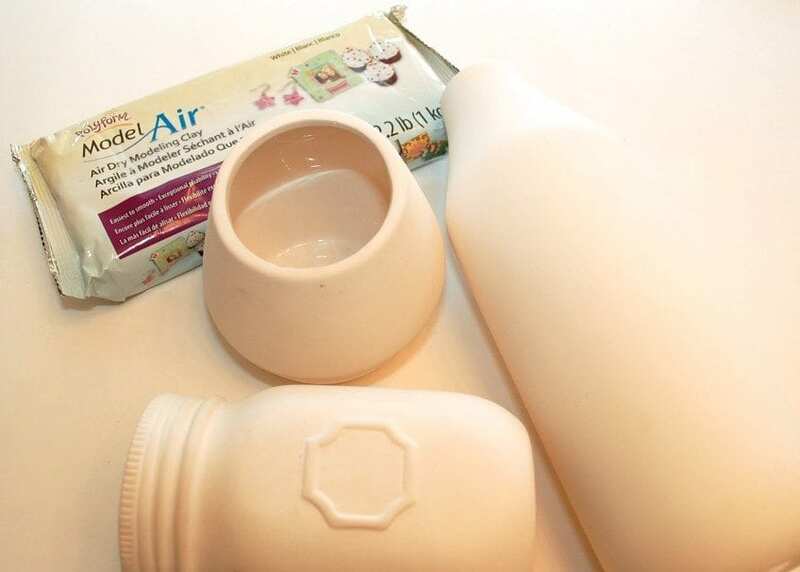 Use the clay directly on your substrate and sculpt your figure. No tools needed, just use your fingers. Think of Halloween icons like owls, cats, witches and more. Allow your clay to dry completely. Keep an eye on your clay as it dries. This will take overnight so not literally. Some times the clay can shrink and crack. If you wake up to a an ear missing on your black cat, just reattach with craft glue. Once you clay has dried and possibly been re-attached with craft glue you might need to sand any rough edges. If you are awesome, you may not. Blow off excess sanded clay and paint. This make take several coats and also if you made a detailed sculpture be sure to get in all the crevices. Check out this air dry clay planter video I made with several tips and tricks on sculpting and making planters with this medium. After the paint has dried completely add a protective top coat. You can use a spray on polyurethane type or paint on something like Outdoor Mod Podge. This will prevent any damage from spills when watering the plants. P.S. Check out these classic horror movie monster clay planters too! Transplant your summer succulents into their new DIY air dry clay Halloween homes. Something fun like an owl will carry you all the way through Thanksgiving. Then you can start over and make a batch of Christmas planters! Wasn’t that easy? Doesn’t your Halloween vignette feel a little bit homier with a pop of live greenery in these adorable new air dry clay Halloween planters? Just because Halloween is all about spooky dead stuff, does not mean your houseplants have to get kicked to the curb! 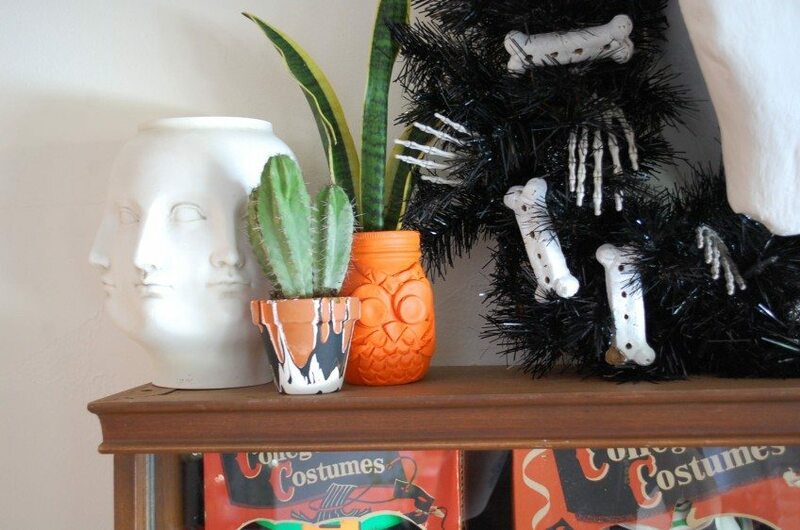 Want more Ideas for Halloween House Plants? Keep Reading! 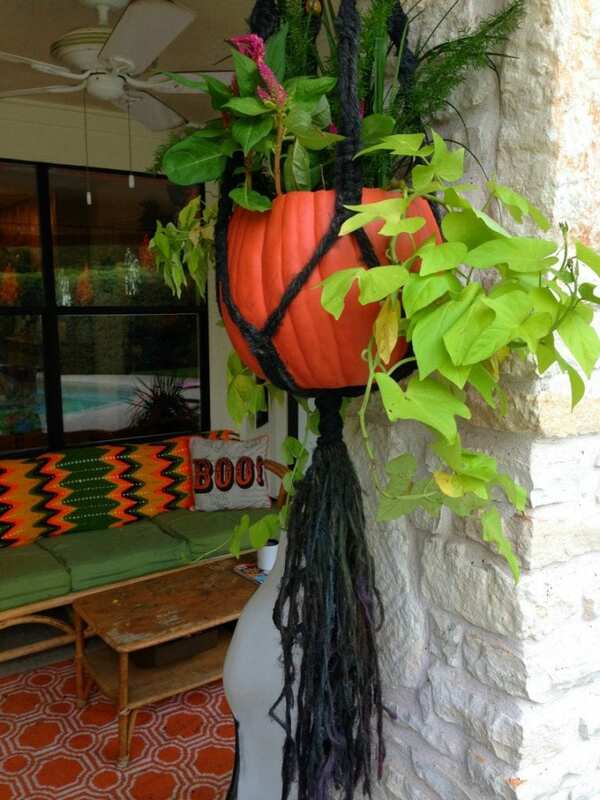 DIY Hanging Pumpkin Planters – weave a web, knot up something new or just dye a ready made jute plant hanger. All you need is pumpkin with a plant after that! 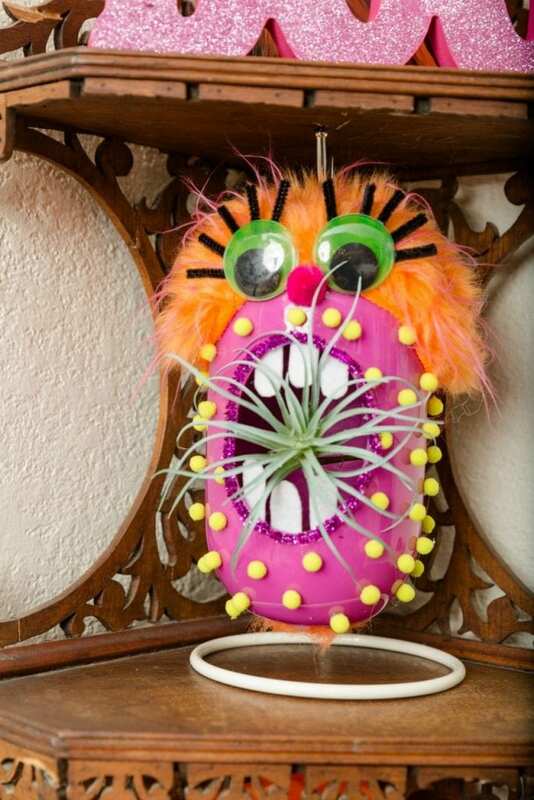 Silly Halloween Monster Planters for Kids – Hanging air plant terrariums get a fun monster makeover with this Halloween craft project for kids. 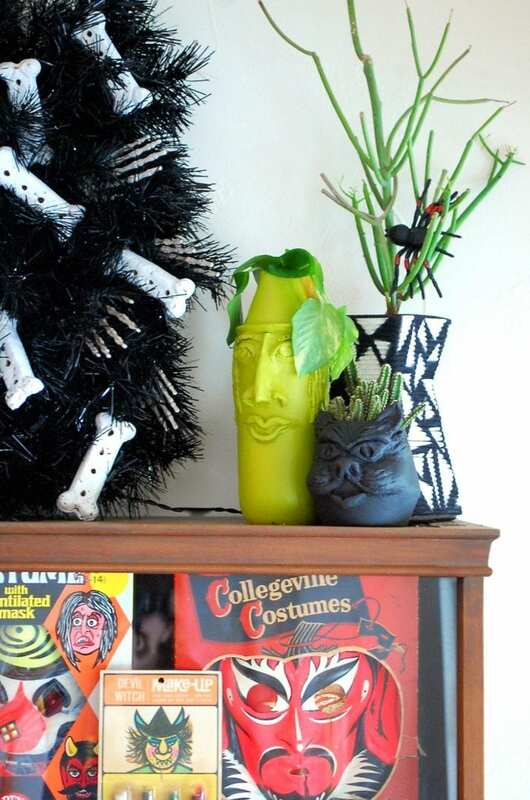 Halloween Horticulture – Over on DIY Network I’ve got tons of fun ideas including these cute clay creepers, haunted birdhouses and terrifying Halloween terrariums. Posted October 11, 2015 & filed under Crafts, Halloween, Holidays, Plant Crafts.